Standard of tool dressing - Purros Machinery Co.,Ltd. Whether or not you have a good set of standard is the standard to measure whether a center is professional. Standard of grinding, the general rules for different Cutting tool in Cutting different materials when the Cutting edge of technology parameters, including the blade Angle, Cutting Lip Angle, rake Angle, Lip Clearance Angle, blade, chamfering etc parameters (in the carbide drill, make the blade passivation process is called “blade”, pour the width of the blade and the Cutting material, generally between 0.03-0.25 Mm. The process of chamfering on the edge (tip) is called chamfering. Each professional company has its own years of review and repair standards. HSS drill bit: Cutting Lip Angle is usually 118 degrees, sometimes greater than 130 degrees; The blade is sharp; The precision (edge elevation, symmetry, circumferential pulse) is relatively low. There are many ways to mend a chisel edge. HM drill bit: Cutting Lip Angle generally 140 degrees; Straight slot drills are usually 130 degrees and three-edge drills are generally 150 degrees. The blade and tip (edge) are not sharp and are often passivated, or referred to as chamfering and chamfering; High demand for accuracy. The chisel edge is often cut into an s-shape for cutting. 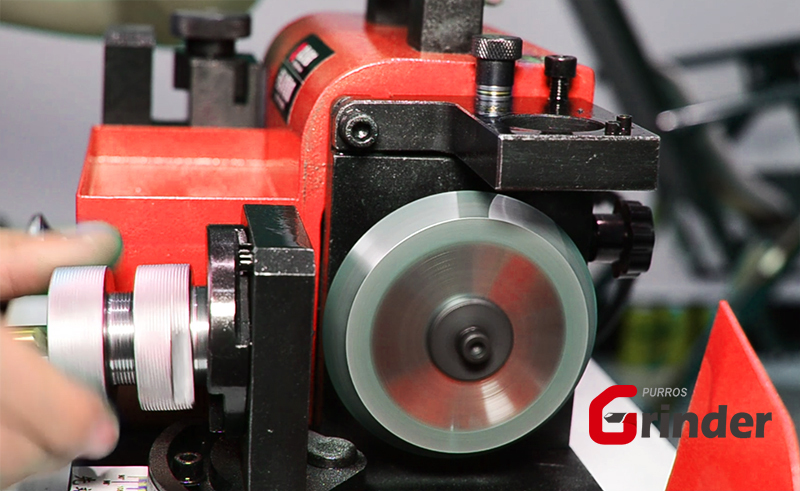 The Lip Clearance Angle of the blade is very important for cutting tools. Lip Clearance Angle is too big, the blade is flabby and easy to tie up. Lip Clearance Angle is too small, then friction is too large, cutting disadvantage. The Lip Clearance Angle of the cutter varies with the cutting material, type and diameter of the cutter. Generally speaking, the Lip Clearance Angle decreases as the cutter diameter increases. In addition, if the cut material is hard, the Lip Clearance Angle is smaller, otherwise, the Lip Clearance Angle is larger. The drill bit grinder developed by PURROS is very popular in the market, and we can accept OEM custom service at the same time! Posted in Technology and tagged drill bit grinder, drill bit grinder development, drill bit grinder manufacturer, drill bit grinder vendor, HM bit, how to grind drill bit, how to use drill bit grinder, HSS bit, Lip Clearance Angle, OEM custom service, Tool grinding standard.